As expected, DOA5U welcomes a couple of new faces to the octagon such as Jeet Kune Do Master [Ask ang], Jacky Bryant from the Virtua Fighter series, and Shrine Maiden Momjii and Rachel from Ninja Gaiden. 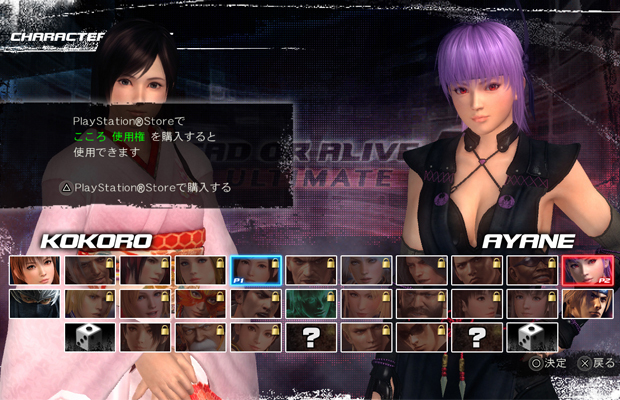 Several DOA favorites are included too: including Leon and Ein, brining the total roster to 29 playable characters. These additions alone bring new fighting styles, along with a fresher and forceful feel to the title. 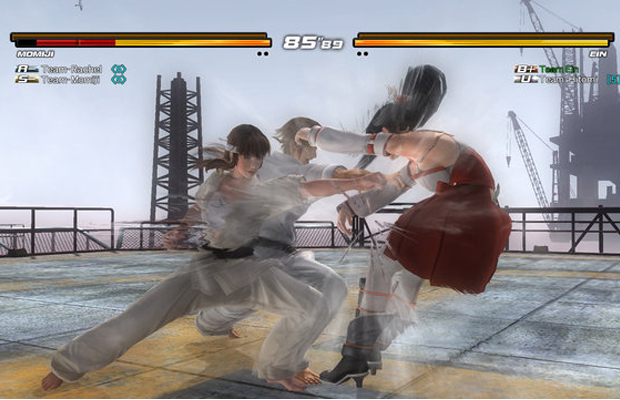 One of the biggest complaints in the previous games was the roster of characters being off-balanced during fights. Tecmo went in and made some adjustments to its fight system, which is less glitchy this time around. Moves and combos are executed much smoother now. Ultimate Tag Mode also gets a huge makeover, adding a more competitive feel to the game by allowing health to regenerate. This should make matches more aggressive.